CIBC has become the latest among the big Canadian banks to increase some of its mortgage rates. The bank (TSX:CM) said Tuesday it had raised its special offer, three-year fixed rate by 10 basis points to 2.59 per cent. A CIBC spokeswoman says the changes came into effect on Jan. 9. 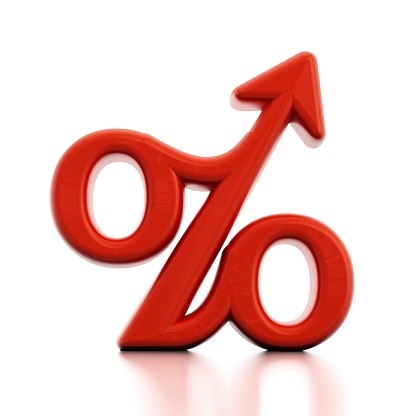 Special offer rates are discounted rates that are available only to qualified borrowers. The move comes after similar rate increases from other lenders, including Royal Bank (TSX:RY) and TD Bank (TSX:TD). On Dec. 18, Toronto-Dominion Bank (TSX:TD) increased its one-year closed and four-year closed special rate, both by one-tenth of a point, or 10 basis points. Robert McLister, a mortgage planner at IntelliMortgage and the founder of RateSpy.com, says there are a host of reasons why both fixed and variable mortgage rates have been ticking higher, including recent changes from Ottawa aimed at reducing risk in the country's housing market. "It's going to be more expensive for banks to hold mortgages," McLister said. "They have to put aside more capital and when you put aside more capital then you can't do other things with it, and that costs you money, so that gets baked into pricing." McLister says banks may also be moving the rates higher to brace for the possibility that the Bank of Canada will cut its benchmark lending rate again, which would put on pressure on the banks' lending margins. "I think there is a bit of banks positioning themselves for potentially lower rates in 2016," McLister said.